Ronald Pereira, Esq. is an Associate Attorney focusing in all aspects of Real Estate, Commercial and Business Litigation. 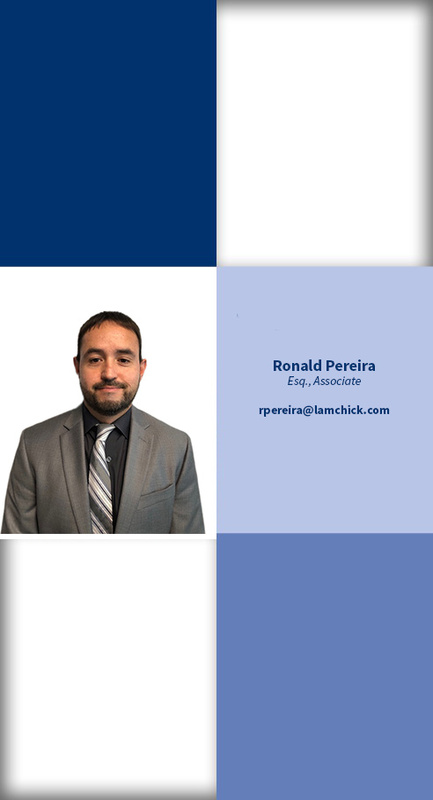 Ronald graduated from Florida International University in 1999 with a Bachelor’s degree in International Business. In 2002, he graduated from Nova Southeastern University with a Juris Doctorate law degree and was recognized for his pro bono work as a member of the Pro Bono Honor Program. Throughout the years, he has gained extensive knowledge in Real Estate working both in litigation and transactional positions. Mr. Pereira has represented multi-national lending institutions as well as condominium and homeowner’s associations throughout South Florida. He continues as a zealous advocate for his clients in matters related to foreclosures, breach of contracts, evictions, and all matters of commercial/residential litigation and has handled numerous trials to date. COPYRIGHT LAMCHICK LAW GROUP, P.A. 2017.